Thanks in large part to President Trump’s aggressive deregulation agenda—through which the president has demonstrated a commitment to cutting or restructuring unnecessary, burdensome rules that hamper innovation and growth—the economy is booming. Unfortunately, one poorly considered rule that seems to have escaped his notice will hurt the businesses that provide one of America’s favorite foods: pizza. The U.S. Food and Drug Administration’s (FDA) rule, a byproduct of the Patient Protection and Affordable Care Act and slated to go into effect on May 7, will require businesses with 20 or more locations that sell highly customizable food items—such as pizza companies, convenience stores, supermarkets and movie theaters—to post physical signs within the store listing the number of calories in each menu option, as well as the calorie counts for each variation of the available options. 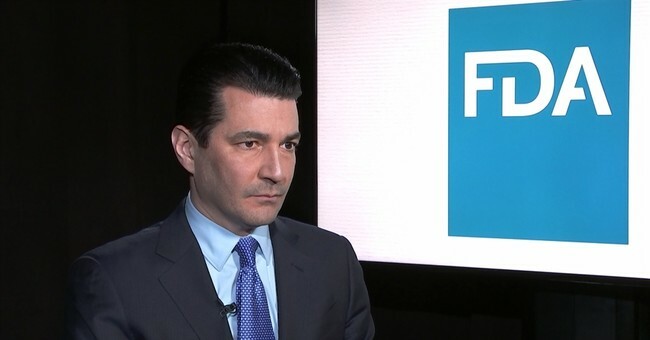 After a series of delays, FDA Commissioner Scott Gottlieb indicated last year that the agency is planning on implementing the final regulations this spring. But some businesses have said it is impossible for them to comply with the rule as it is currently written. For restaurant chains with a straightforward menu, like McDonald’s, posting nutritional information on a menu board isn’t much of a burden. But for restaurants like Domino’s, Papa John’s or Pizza Hut that serve mostly customizable items, the regulation is nothing short of ridiculous. The available options of crust, sauce, cheese, and toppings at Domino’s, for example, means customers could order more than 34 million possible combinations of pizza. How on earth is a company like this supposed to post the nutritional information for 34 million menu options on an old-fashioned costly menu board in their stores? There’s even confusion about whether—under the exact phrasing of the regulation—marketing materials – including social media posts – are considered a menu. If so, then calorie disclosures would be required on things like ads for the restaurant in your local paper, as well as Facebook and Instagram posts and tweets. Restaurant chains are scrambling to find a way to comply with the onerous regulation because those found to be in violation may be held criminally and civilly liable, subject to a $100,000 fine and/or up to a year in jail. The regulation will force companies to spend time and resources to make sure their physical menus are in compliance, even though most customers at delivery establishments place their orders remotely either online or via a mobile app on their phone. Of course, consumers deserve accurate nutritional information about the food they purchase and consume, and no one is seeking to deprive them of that information. But why, in the 21st century, should nutritional information have to be on a physical menu board? Domino’s, for example, has had an online Cal-O-Meter for years that allows customers to calculate the calorie count of their specific order. The regulations are so burdensome that President Obama’s Office of Management and Budget called the rule the third most onerous regulation proposed in 2010, and estimated that it would require more than 14.5 million hours to comply. Due to the complexity of the regulation, the FDA delayed the implementation of its own rule twice in six years. Commissioner Gottlieb was aware of the potential difficulties posed by the regulation—that’s why he promised to issue additional guidance on its implementation last fall. But small business owners such as restaurant franchisees said the guidance he issued still fails to address their concerns. Earlier this year, the U.S. House of Representatives again passed Rep. Cathy McMorris Rodgers’ Common Sense Nutrition Disclosure Act. The legislation provides flexibility for restaurants to comply with the rule, allowing them to provide their customers with nutritional information in practical, realistic ways, such as online. The bill would be such a great step towards fixing a very burdensome problem, but Congress missed an easy opportunity to include it in its recent omnibus. If chicken farmers can get regulatory relief in the omnibus, then it’s hard to see why small businesses that sell one of America’s favorite foods can’t have the flexibility to provide accurate nutritional information in a way that best meets their customers’ needs. It’s an easy fix. It’s time for President Trump to get Commissioner Gottlieb to take some common-sense action before this punitive rule goes into effect.